A fresh new voice!Debut author Jo Green has given us something pretty special with this book - a heroine who banishes the 20-year Chardonnay hangover of Bridget Jones. For so long, contemporary woman's fiction has been saturated with ditzy, loveable but pathetic women; the underdogs, the tragic and the hopeless, who usually come up trumps in the final pages through sheer luck. But - none of that with Samantha Silver, who unashamedly knows what she wants, how to get it, and usually does so through a delightful mixture of disarming frankness and cheeky humour. Finally, we've got a character who doesn't make us throw up in our mouths; who we want to be like, and want to be our friend! 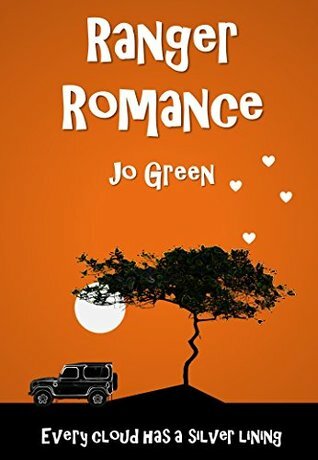 The book is equal parts romance and safari adventure romp. The African landscape is vivid and compelling, and this element of the book was hugely enjoyable. The romance worked slightly less well, largely down to the 3 lead male characters. Wesley, that ranger, possesses depth and interest; but Ben and Jack are more one-dimensional. Having said that, the outcome kept me guessing right until the final pages! But Sam Silver is the star of this show. I can't wait to read another installment of her adventures! Jo Green - Jo Green is a queer person who’s the author of Queer Paganism and the The Trans Partner Handbook. They also founded the largest active support space for partners of trans people, called Distinction Trans Partner Support. Jo is also lead singer and lyricist of a post punk band called Pentacorn and their pronouns are they/them/their.